This article provides an overview of an algorithm used for the prediction of ionization constants of titratable residues in proteins. The algorithm is based on an assumption that the difference in protonation behavior of a given group in an isolated state in solution, for which the ionization constant is assumed to be known, and the protonation behavior in the protein environment is purely electrostatic in origin. Calculations of the relevant electrostatic free energies are based on the Poisson-Boltzmann (PB) model of the protein-solvent system and the finitedifference solution to the corresponding PB equation. The resultant multiple site titration problem is treated by one of two methods. The first is a hybrid approach, based on collecting ionizable groups into clusters. The second method is a Monte Carlo approach based on the Metropolis algorithm for extracting a sufficient number of low-energy ionization states out of all possible states, to obtain a correct estimation of thermodynamic properties of the system. 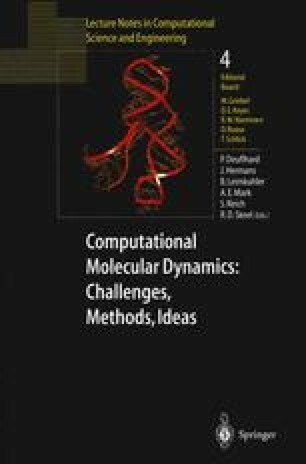 As examples of applications, we present the overall accuracy of predicted ionization constants for about 50 groups in 4 proteins, changes in the average charge of bovine pancreatic trypsin inhibitor at pH 7 along a molecular dynamics trajectory, and finally, we discuss some preliminary results obtained for protein kinases and protein phosphatases.